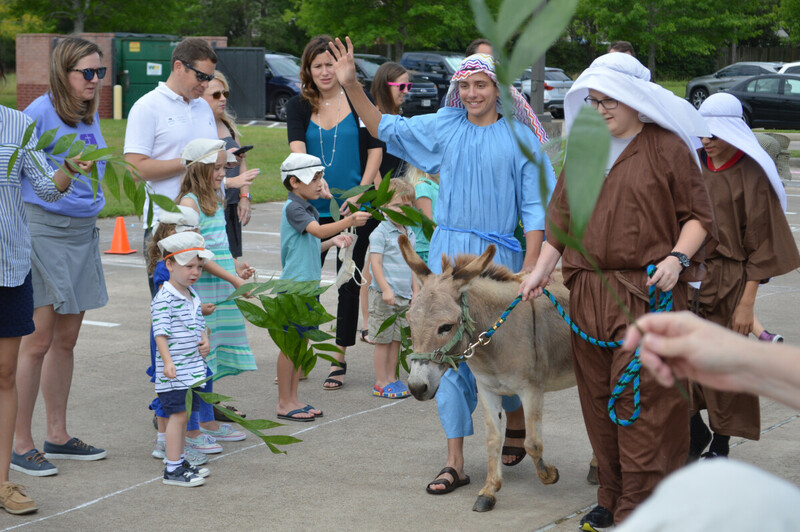 Journey to the Cross is a creative, hands-on walk through Jesus' last week on earth that is designated for families of preschoolers through 3rd graders. The event is held in waves; be sure to choose a time that works for you. The first wave is at 8:40 am. All waves are followed by a breakfast of pancakes, fruit, coffee, and juice. Arrive at least 30 minutes prior to the start of your wave for check-in and pre-event activities which include a petting zoo, face painting, bubbles and chalk. We recommend that children wear shoes that are easy to take off for the foot washing station.